- Our store will protect your personal information in accordance with the relevant provisions of the Personal Data Protection Act and HKTVmall Privacy Policies. - In case of any dispute, the merchant will retain the right of final decision without prior notice. - Colour shown may be different from actual products. - Price, promotion offers and other marketing campaign between retail stores and HKTVmall may vary. The terms and offers are only applicable to HKTVmall. The 'Merchant Delivery' goods delivered by this store cannot be combined with goods delivered by other merchants to calculate delivery fee. Spend $400 on 'Merchant Delivery' goods at this store to enjoy free delivery, otherwise the delivery fee is $80. Some remote areas require additional delivery fee, please contact merchant directly for details. - All products are non-refundable. Purchase over HKD1,000 will be delivered by Boncafe’ directly. - Shipping time: Monday to Friday excluding Saturday, Sunday and Public Holiday from 10am – 6pm. - Delivery will be scheduled within 7 days upon order and payment. - Delivery location does not include outlying islands. - Electrical goods which cannot operate normally can be exchanged within 7 days. - Exchange will not be accepted under the following conditions: uncomplete package, broken or missing parts. Purchase below HKD1,000 will be delivered by HKTVmall. - For delivery location and charges, please refer to Shipping Information for more details. - Actual delivery time depends on the products ordered and the shipping time of the particular merchants. - Shipping time of this store: Monday to Friday excluding Saturday, Sunday and Public Holiday 10am onwards. Boncafé was established in Hong Kong in 1978. In 2014, Boncafé became part of Massimo Zanetti Beverage Group (MZBG), which is a public-listed leading Italian beverage brand with a worldwide presence. MZBG is fully integrated across the value chain from coffee plantation to cup with a strong portfolio of leading brands positioned in different countries. 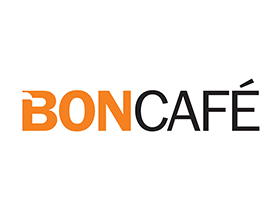 Boncafé (Hong Kong) imports and distributes high quality coffee and tea, chocolate, coffee machines and other beverage equipment to both foodservice and retail markets. The major brands distributed in Hong Kong includes Boncafé and Segafredo Zanetti roasted coffee, and La San Marco semi-automatic professional coffee machines. We offer our clients professional coffee solutions, training and, what is extremely significant, access to technical support.